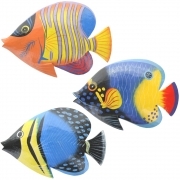 Brightly painted large glossy wooden wall fish. 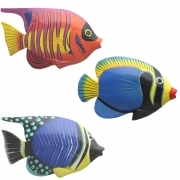 Brightly painted medium glossy wooden wall fish. 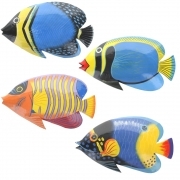 Brightly painted small glossy wooden wall fish. 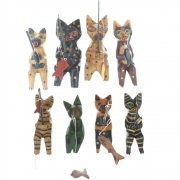 Small wooden cats sitting fishing - pack of 6. 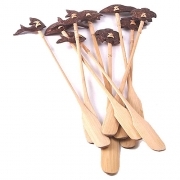 Small sitting wooden cats - 6 black. 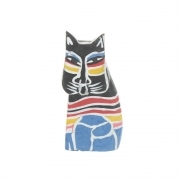 Tiny sitting wooden cats - pack of 10 pink. 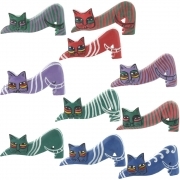 Stretching wooden cats - 5 assorted. 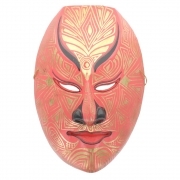 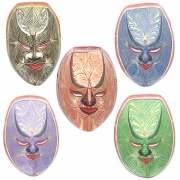 Hand painted Javan style mask.